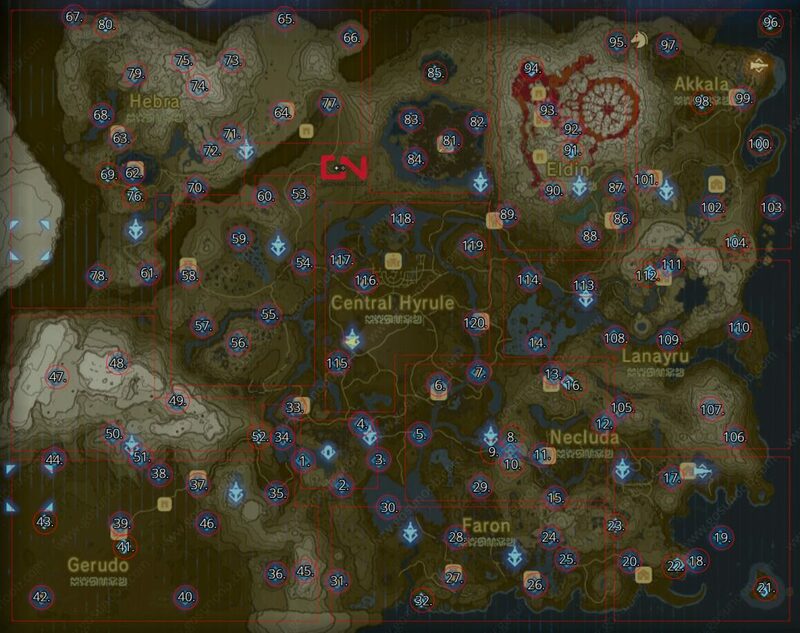 Published August 18, 2017 at 1409 × 1114 in Zelda Breath of the Wild Shrine Locations Map – Find & Complete all 120. Thank you for this. Do you have a list for the names? Of course. The article this map is from lists them all. Here you go. It’s in the corner of Hebra. i only need 2 shrines before i get the master sword!